The troubles of Africa today are severe and wide-ranging. Yet, too often, they are portrayed by the media in extreme terms connoting poverty, dependence, and desperation. Here Wangari Maathai, Nobel Peace Prize laureate and founder of the Green Belt Movement, offers a refreshingly unique perspective on these challenges, even as she calls for a moral revolution among Africans themselves. 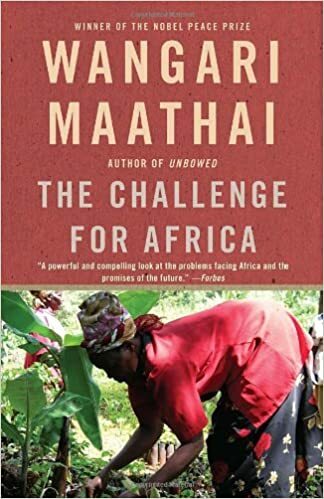 Illuminating the complex and dynamic nature of the continent, Maathai offers “hardheaded hope” and “realistic options” for change and improvement. She deftly describes what Africans can and need to do for themselves, stressing all the while responsibility and accountability. Impassioned and empathetic, The Challenge for Africa is a book of immense importance. the practice of harambees, which had become a scourge in parliamentary constituencies. Harambee is the Kiswahili word for “pulling together.” President Jomo Kenyatta introduced the term in Kenya in 1963 to instill a community spirit and sense of self-reliance and hard work in promoting small-scale local development. It had since come to mean something like a fund-raiser, or a donation, having been hijacked by politicians, who recognized it as an important forum for influencing potential voters.